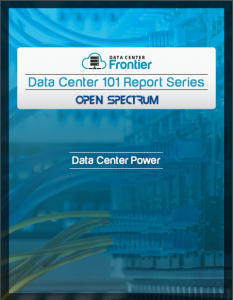 The Data Center 101: Data Center Power report, brought to you in partnership with Open Spectrum, is part of the Data Center Frontier Data Center 101 Special Report series. This entry, part of a group of 14 reports that cover the ins and outs of the data center industry, covers the different data center power options available today. Have you ever struggled to describe in layman's terms how to meet your client's needs, or wasn't quite sure how to describe how kVA differs from kW? This Data Center 101 report is here to help. The white paper starts off with a description of kVA and kW, their relationship, how they differ, and more. Next up is a description of grounding wires and their purposes in data centers, followed by a breakdown of different power configuration options.